C-DAC, ACTS is conducting Post Graduate Degree awarding programmes in collaboration/affiliation with the well known Universities initiating “Industry – Academia Zero Gap Learning”. Few of the collaborating universities are Sandip University, Nashik, Manipal University, Jaipur and Sathyabama University, Chennai. The objective of this collaboration is to jointly conduct Masters Programmes in the areas of Advanced Computing, Data Science and Internet of Things (IoT) wherein the first year learning takes place at the university location and the second year at CDAC, ACTS Pune. Recently, the Orientation Programme for the students from all three universities was organized on July 17, 2018 to acquaint them with the C-DAC ACTS culture and their future journey in C-DAC, Pune during the next one year. 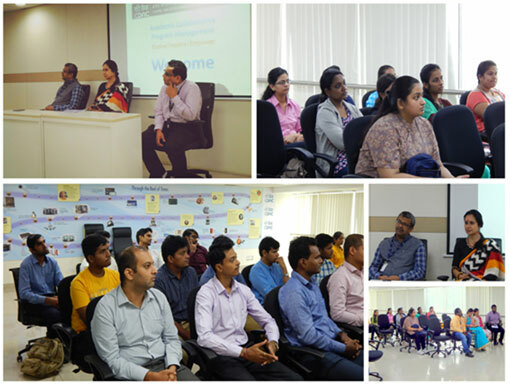 Ms. Mita Karajagi, Senior Director and Head, ACTS C-DAC, Pune and Mr. Aditya Kumar Sinha, Joint Director, ACTS C-DAC Pune addressed the students. Senior members from ACTS team were present during the function.